Announcement ***IMPORTANT.....If you are buying more than 1 item from my shop, feel free to message me for combined shipping rate to save you on shipping cost. ****Free shipping on several items. ******** Spring and Easter gifts. Items for all year round. ***IMPORTANT.....If you are buying more than 1 item from my shop, feel free to message me for combined shipping rate to save you on shipping cost. It was perfect size for my daughter! It shipped when it was suppose to highly recommend! Beautiful! Just as described, shipped quickly, very nice. This is too cute. Love the designs. Very good price. Quick response to questions. Fast shipping and great quality. Will recommend seller anytime. 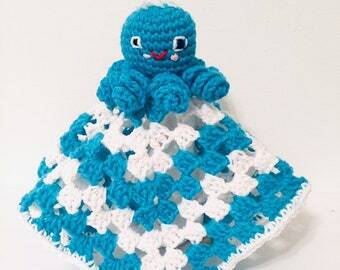 So very soft and squishy, this crocheted octopus will be your baby’s or child’s best friend. Come on into my shop and check out the details. I am inspired by crazy bright colors. 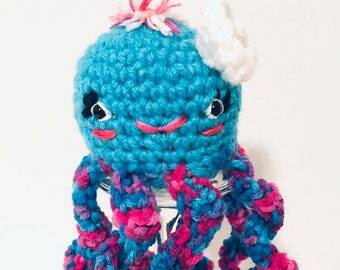 My passion is turning that bright colored yarn into adorable crocheted play food, stuffed animal plushie toys, stretchy baby hats and even cup cozies. 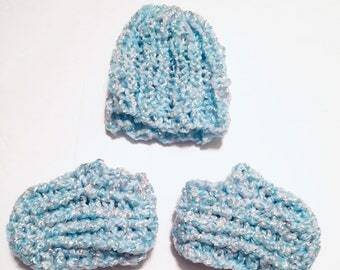 I am always crocheting something adorable so please check out my items and if you have any questions, please convo me. Thanks for your visit. Thanks for visiting. I'm always crocheting new items so please come back and visit often. Thanks for visiting my Etsy store. All of the handmade items in my shop are crafted with loving care and made to last. All items are created in a smoke free, pet free home .I am always adding new supplies, craft items and handcrafted items so please check out my shop regularly. I sell a huge variety of items. There is something here for everyone and in every price range. Don't be a stranger. Customer satisfaction is my goal and is what is most important to me. I have crocheted or sewn each handcrafted item with care so that all are sturdy and made to last. However, if you are not satisfied, I do offer refunds if you message me within 3 days of receiving item but I will not be able to refund any shipping charges accrued due to the refund. Of course hats are not returnable. I want all of my customers to be overwhelmed with my service and my products and I will do what it takes to make each customer happy with their purchase. Please provide payment with purchase. You do not need to have a PayPal account to use Paypal. As you go through the PayPal process you can input your info. Shipping is via USPS Priority Mail or 1st class, depending on size and weight of item and includes tracking. Books are shipped by media mail. If you buy multiple items, feel free to contact me before purchase for combined shipping rates. If you don't contact me regarding combined shipping before making payment, and there is a shipping overage I will glady refund difference UPON REQUEST ONLY. ****International customers: Shipping fees DO NOT include taxes, duties or other fees that might be charged by your country. The buyer is responsible for paying any additional fees, should there be any.